Advocates for senior citizens have praised the recently issued regulations from the Centers for Medicaid and Medicare Services (CMS), a federal agency that establishes policy on a wide variety of important matters relevant to seniors. A new rule, which was scheduled to become effective on November 28, 2016, bans pre-dispute binding arbitration agreements in contracts with nursing homes and other long-term care facilities. While CMS claims that it is well within its authority to issue such a rule, in terms of its supervision of all long-term care providers who participate in the Medicare and Medicaid programs, others in the long-term care industry disagree. In fact, the American Health Care Association (AHCA), an industry group that represents most nursing homes, already has filed suit against the federal government over the new rule. The lawsuit, which AHCA filed in federal court in Mississippi, claims that the ban on pre-dispute binding arbitration agreements is arbitrary and capricious, and that CMS exceeded its authority in issuing the new rule banning such agreements. CMS takes the position that requiring long-term care facility residents to sign pre-dispute binding arbitration agreements is fundamentally unfair and unconscionable. For instance, it is basically impossible for residents to give fully informed consent to a binding arbitration agreement before a dispute has even arisen. CMS wants residents to be able to resort to the court system, if necessary to resolve a dispute with a nursing home or other long-term care facility. Likewise, once a dispute arises, the resident then can choose whether to arbitrate that particular issue. 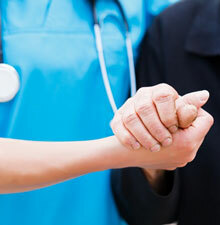 As it currently stands, nursing homes and other long-term care facilities will deny care to those injured, ill, and disabled individuals who refuse to enter into such an agreement. At the Law Offices of The Elder Law Firm PC, we have handled countless matters related to long-term care, no matter what type of circumstances they entail. Allow us to look into the facts and circumstances surrounding your case, discuss your options, and help you determine the most appropriate plan of action for you and your family. 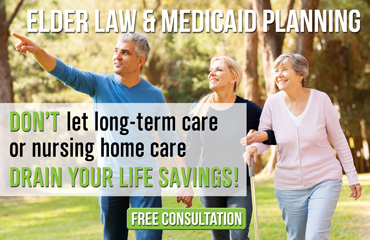 Contact the Michigan long-term care attorneys of the Law Offices of The Elder Law Firm PC, and learn how we can help.